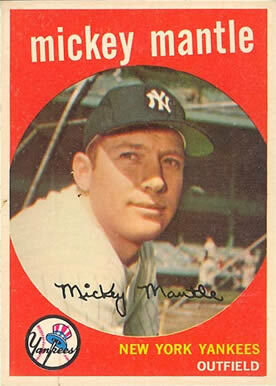 The 1959 Topps baseball card set includes 572 standard size cards, which measure 2½” by 3½”. 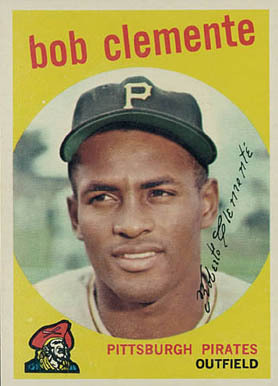 The subsets for the 1959 Topps baseball cards are the rookie stars (116-146), Baseball Thrills (461-470), and the Sporting News All-Stars (551-572). 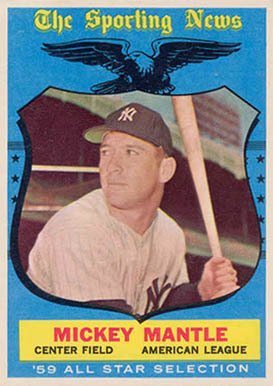 The high number series, which is slightly more difficult to find, ranges from card number 507-572. 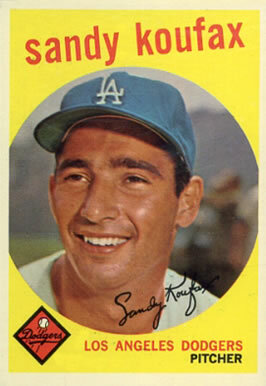 The 1959 Topps Baseball set has aged well and remains popular with collectors. 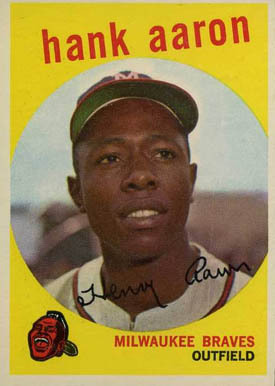 What had been a few years of competition-free baseball card releases from Topps came to an end in 1959. 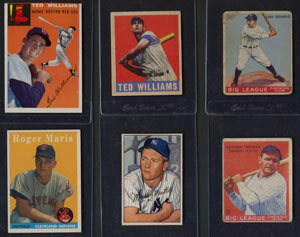 The Fleer Gum Company released an exclusive 80-card set dedicated entirely to the immortal Ted Williams. 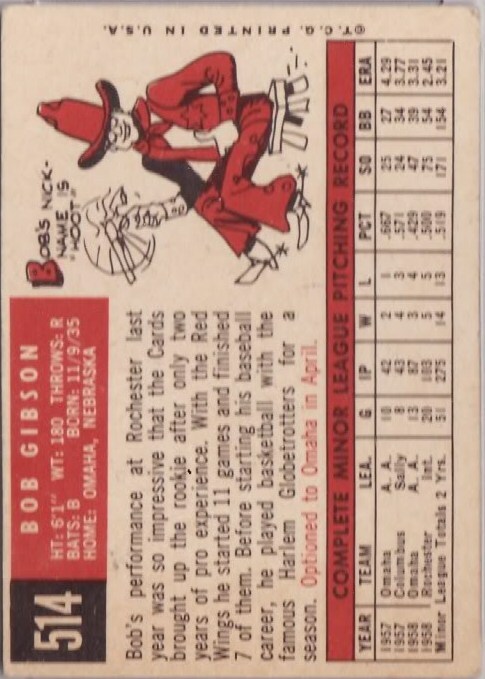 Not only did this keep Ted Williams from appearing in the Topps set, but it also re-awakened the possibility of a serious card competing with Topps for baseball card supremacy. 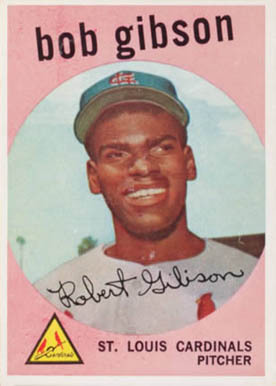 Topps had thought the purchase of Bowman a few years back would help them maintain dominance for years to come, but the surprising upstart set from Fleer would put Topps back on alert. 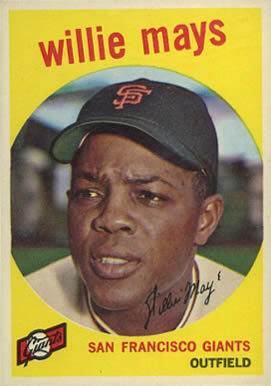 1959 Topps Baseball: Bring on the Pzazz!